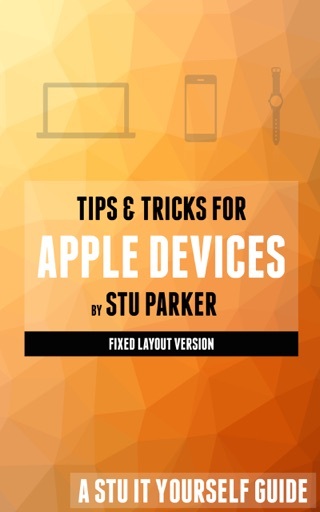 300+ Tips & Tricks for all of your Apple Devices to save battery life, storage space, and most importantly your time and sanity! Up to date with iOS 12, OS X Mojave & Watch OS 5. Reflowable Layout Version, compare to the Fixed Layout Version sample to determine which you prefer. This is the first guide in the Stu It Yourself series by myself Stu Parker! 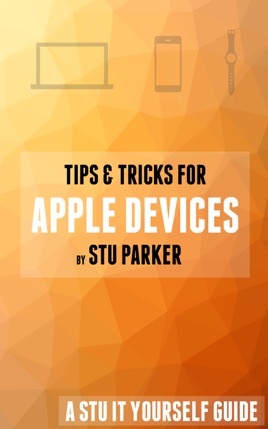 I've been a Developer for Apple products since the time of iOS 4 and an Apple fan for many years and wanted a way to pass along my knowledge without overwhelming people after helping them face to face with their particular device questions. Read the guide front to back or just pick one item at a time to learn from the Table of Contents with easy to follow steps and images. Did you know you can move the cursor on your iPhone by doing a hard press (3D Touch) or tapping and holding on the spacebar and then swiping around? Did you know your iPad can run two apps side by side, with a third in a slide over panel, and a movie or FaceTime call in a Picture in Picture window all at the same time? How about that your iPhone can unlock your Watch and your Watch can unlock your Mac? Or that you can start a task on any of your Apple devices and pick up right where you left off on another device? If you knew all of those then I am very impressed but I would still be willing to bet that in this guide you will learn dozens of new tips and tricks for your iPhone, iPad, iPod Touch, Apple Watch, and Mac that will enable you to spend less time on your device and more time on your life. Many useful tips that makes using iPhone even easier. Just a couple of changes in settings helped me to significantly increase my battery life. Highly recommended! I learned dozens of tips that already have helped me save battery and my time. Can't recommend more highly. I especially like the Instagram/Facebook videos associated with each post he's working on, it'll be fun to have those links in the book soon!